Jordan Brand is looking to make a huge impact next summer with their Jordan Brand Summer Collection, which includes the Jordan Classic 23 AC that has recently surfaced on the web. According to reports, this impressive-looking Jordan Classic 23 AC will be one of their first offerings this summer and will be coming out in a military blue edition. 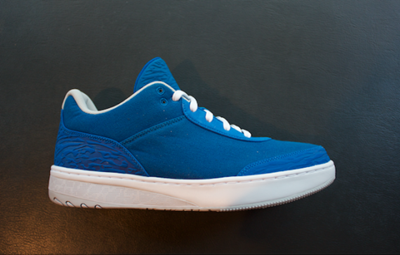 The silhouette sports a canvas construction enhanced with several elephant prints throughout the entire shoe. No official release date has been announced, but we will definitely keep you updated!